After a temple run on Day 3, we decided to spend half a day with the many birds of Ayuthhaya. 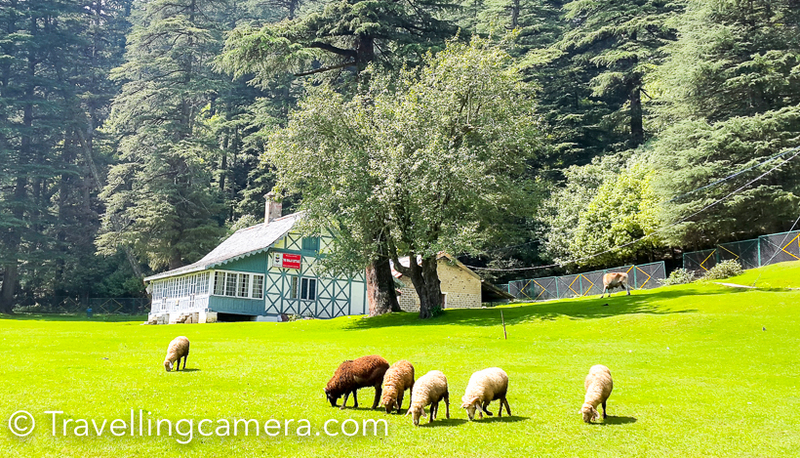 We had had a glimpse of them on the previous day and were really looking forward to clicking them. We had heard various melodious songs from the tree canopies. Now we wanted to see these gifted bards up close. So after having a good breakfast at out favorite haunt Tom Lueat Mu, we headed out in search of the birds. The first one we wanted to click was the Oriental Dollar Bird. And this turned out to be so tricky that we spent almost half that time that we had trying to click it. This bird likes to perch on the topmost branches of tall trees. But somehow it has issues with humans walking on the ground far beneath. We did not know this when we confidently headed towards the little pond around which we had seen a dash of blue in the tree canopies. At that time we had thought we would quickly click a couple of pictures and move to the temple where we had heard many birds. But this was going to be the Dollar Bird's day, not ours. 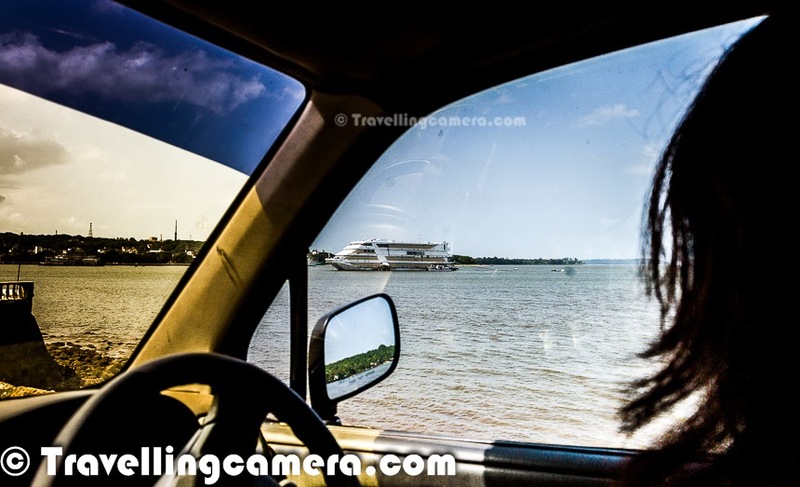 When we reached there, we noticed the birds in a tree close to us, but as soon as we got close enough to click a picture, they took off and landed on the other side of the waterbody. So we decided to walk to the other side of the waterbody. But when we got there, the birds took off again and landed on the other side. This happened twice and then we figured that the birds were not comfortable with our presence. So I went to the side where the birds were perched and VJ stayed hidden on the other side. But the birds were too intelligent. 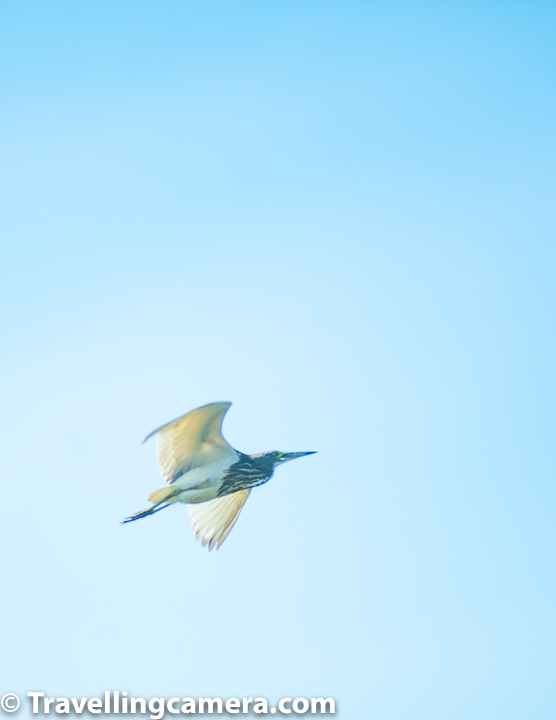 They flew off to the third side. We gave up and decided to proceed to the next stop with whatever pictures we had managed to capture of the beautiful Dollar Birds. 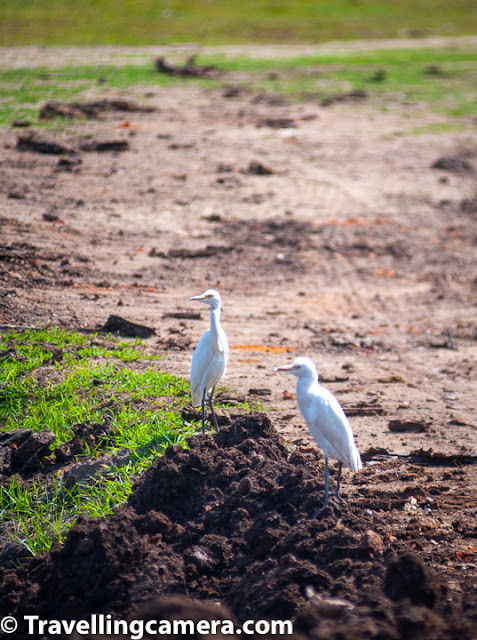 A couple of cattle egrets and little egrets kept us entertained for a while. They were exploring a small cordoned-off area that was being excavated by an earth mover. Since these were marshy areas, the soil was quite damp and these egrets were in luck. They managed to find many crustaceans and insects in this freshly dug wet mud. They were going crazy darting in and out of the hole being dug by the earth mover. They seemed like a happy bunch. 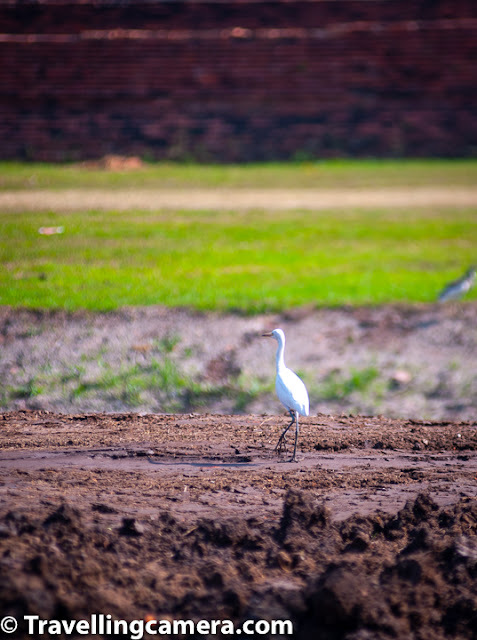 But may be it was the Dollar Birds that had influenced them, these egrets too weren't too happy with our presence. Please don't think that this is the kind of effect we have on birds all the time. Birds usually warm up to our non-intrusive presence. All the birds that we saw later too were friendly enough. The more I think of it, the more I am convinced that it was the close proximity to the the Dollar birds that made these egrets behave this way. It was a hot day and we also had to catch a bus at 3:00pm, so we decided to stay close to the hotel and do whatever birding we could. we had heard a variety of birdsongs at the Wat Ratburana, so this was where we were headed next. We entered the temple complex and headed straight to the jujube trees. Though it was hot, there was a breeze and it was in fact quite pleasant in the shade of these trees. We sat down and soon started spotting little birds in the trees. 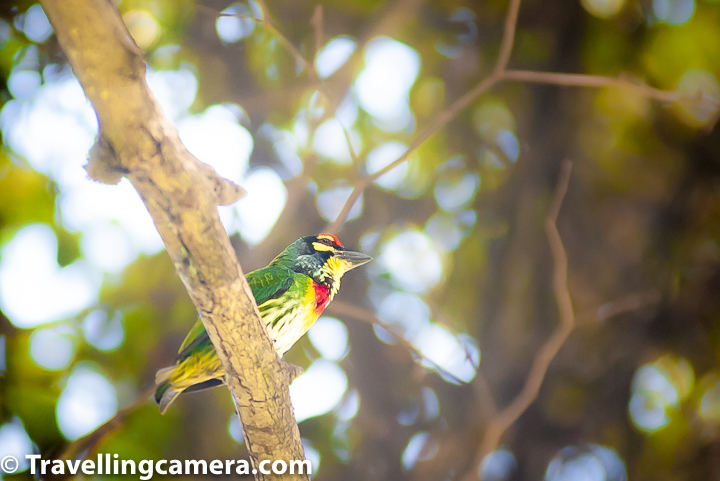 The first one we saw was a Coppersmith Barbet. This colorful little bird was pecking on the jujube fruit and making quite a racket in fact. Since I was not really expecting to come across a Barbet here, I first thought that it was a woodpecker. We stuck around trying to click this beautiful bird to the best of ours and our very basic camera's capabilities. The Barbet though did oblige us with some really good poses. 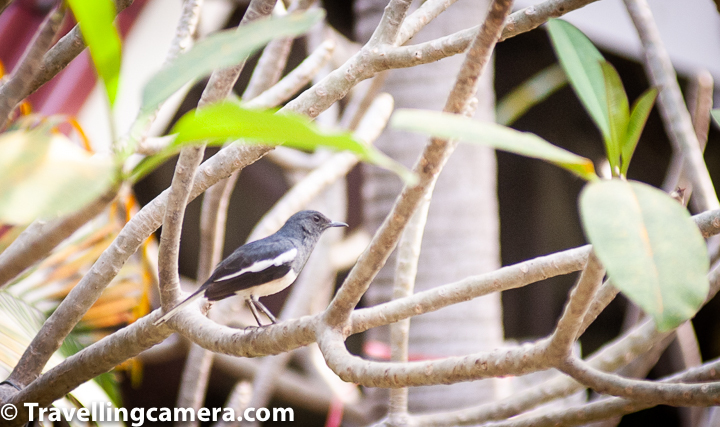 The Oriental Magpie Robin was everywhere as were the wagtails. 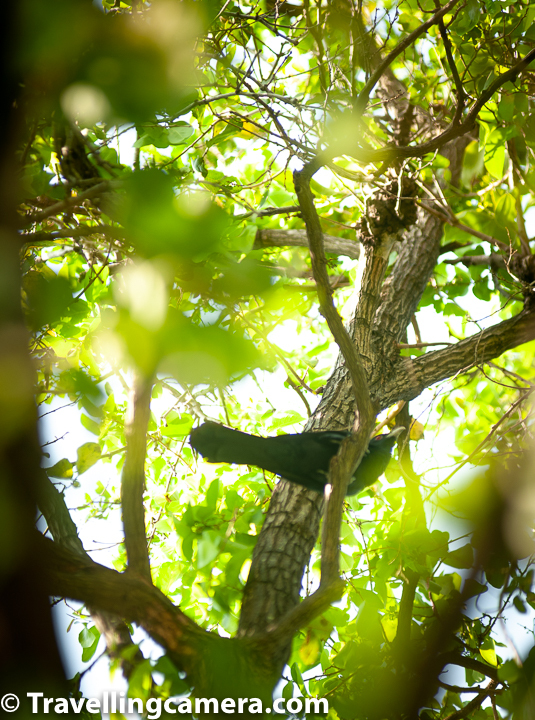 The Koel could be heard throughout the day, and it is the Koel's haunting songs that actually make hot summer days a little bearable. 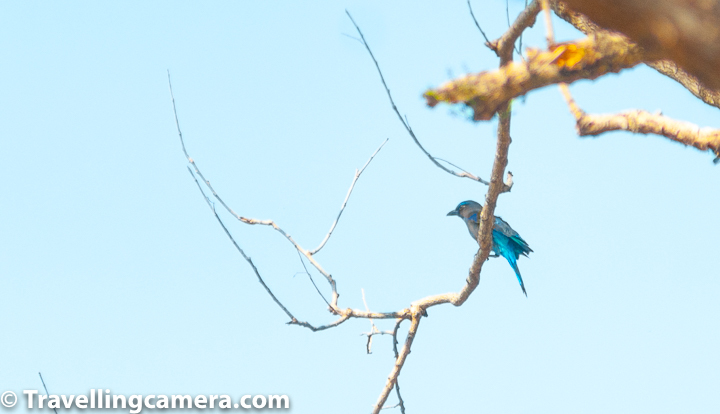 There was also a variety of drongos to be seen. 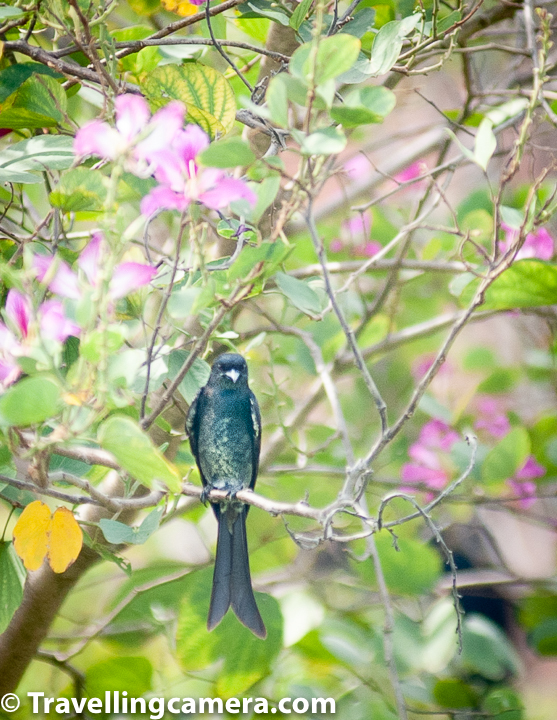 We managed to click a crow-billed drongo, which we have never seen in India. 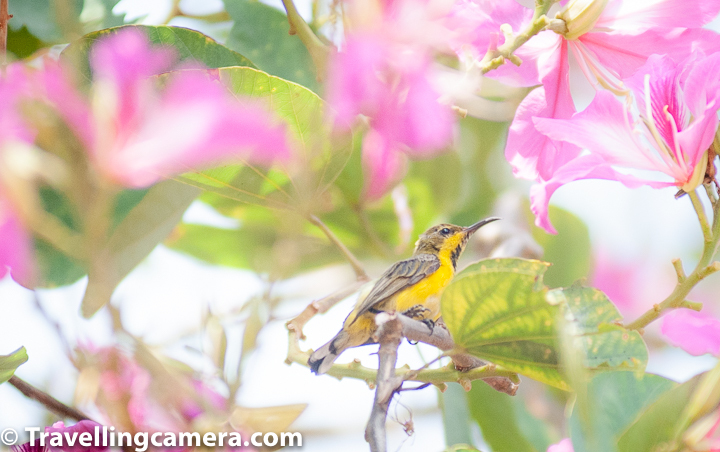 Also, we were under an impression that we had seen hummingbirds in the Jujube trees, but these turned out to be colorful sunbirds. 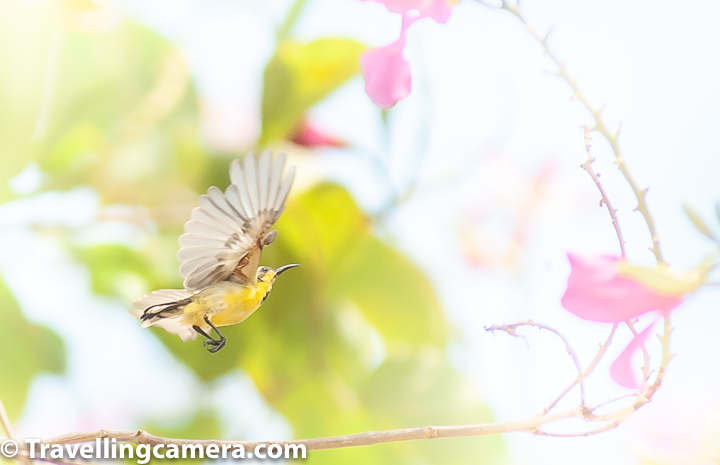 We managed to click a couple of olive-backed sunbirds. These were tiny and fast-moving. Very difficult to click indeed. At this point, while everyone else was busy exploring the temple ruins, we were busy staring up into the trees trying to spot where a particular bird song was coming from. Very soon, we had people around us who were curious about what we were doing. 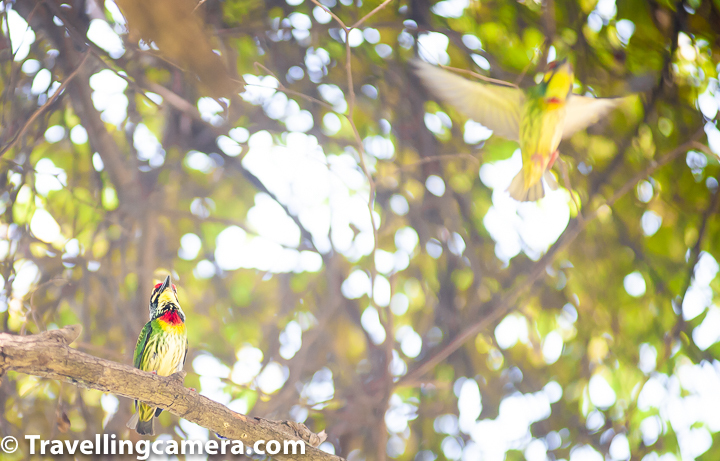 Some of them were able to click pictures of the coppersmith barbets because of us. :) Some of them probably thought that we were crazy fools. We were obviously foreigners there and instead of looking at the ruins of the world heritage site, we were staring up the trees. I carry my copy of Birds of India everywhere I travel to in India. I wish I had a similar book for Birds of Thailand too. 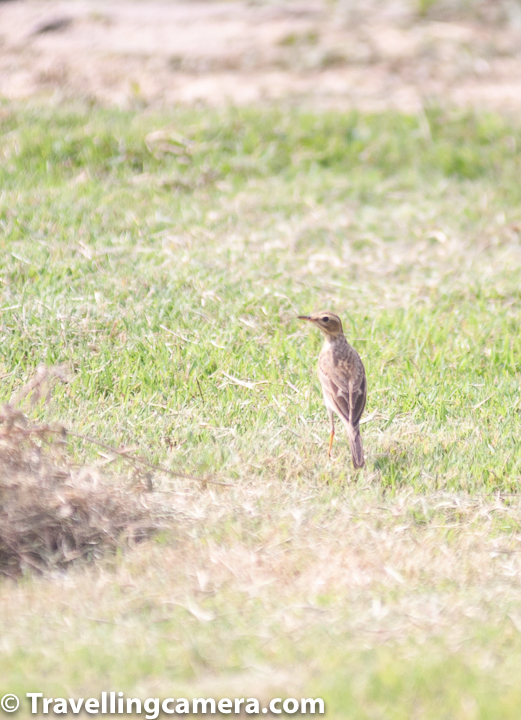 It would have been really helpful in identifying these few birds that we had never seen before. I also feel that we missed an opportunity here. If I had done some research about the birds that could be spotted in Ayuthhaya before we reached here, we would have been much better prepared to identify these birds. While all over in Thailand, there were opportunities for birding, I don't know what it was about Ayuthhaya that made us choose this city. 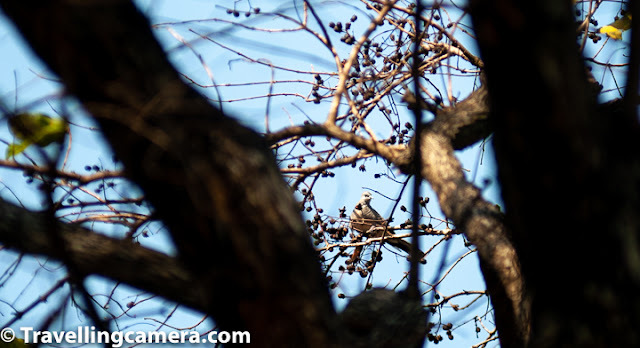 May be it was the melodious song of the koel that greeted us when we arrived. Or may be it was the persistent calling of little unseen birds that we could hear but not spot. 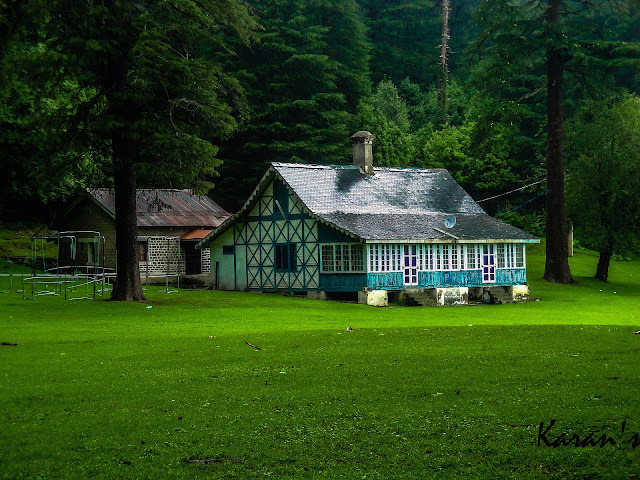 It could also have been the small-town feel of this city where nothing and no one really seems to be in a hurry to get anywhere. Local residents are at peace, wind blows gently, the river too flows at a pace that could lull you to sleep if you happen to cross it in a boat. The silent ruins of the temples have stood here for centuries, undisturbed. There was no incessant honking of cars to drown the sounds of nature and no panic to achieve goals and meet deadlines. But perhaps that was more true in our case than in others because we were here holidaying, taking a break from our jobs. 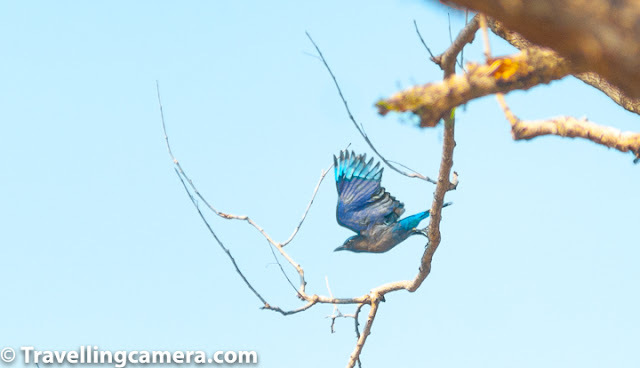 In general, if birds interest you, we recommend taking half a day for birding in Ayuthhaya. They are easy to spot. In fact I would go ahead and say that they are difficult to ignore. 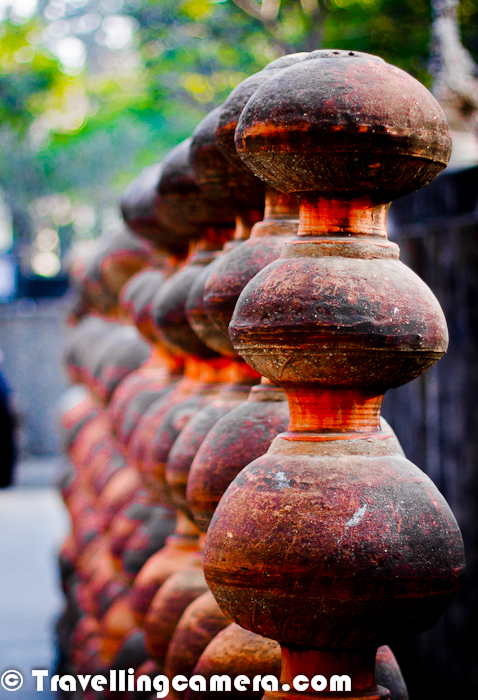 After a day or two of exploring temples, you are going to need a day to lie back and relax a bit. 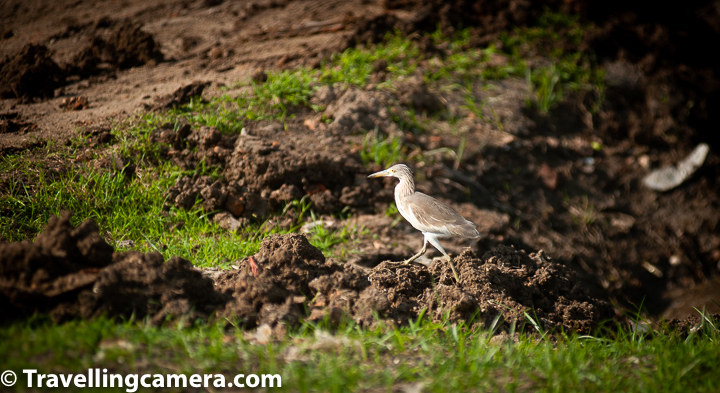 Birding in Ayuthhaya can give you that opportunity. 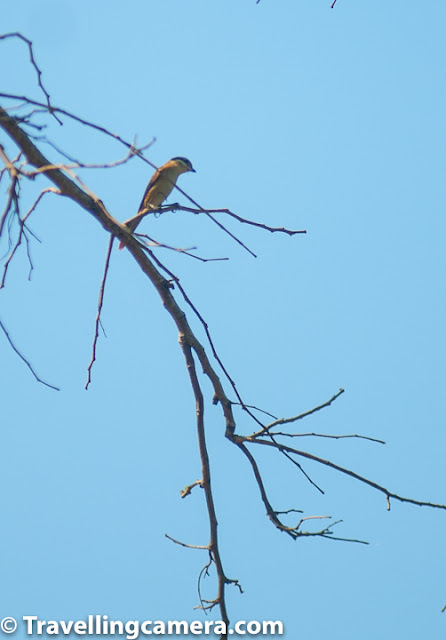 We were also able to click a Brown-rumped Minivet. Also there were some birds hopping around in the grass that we were not able to click well or even identify. 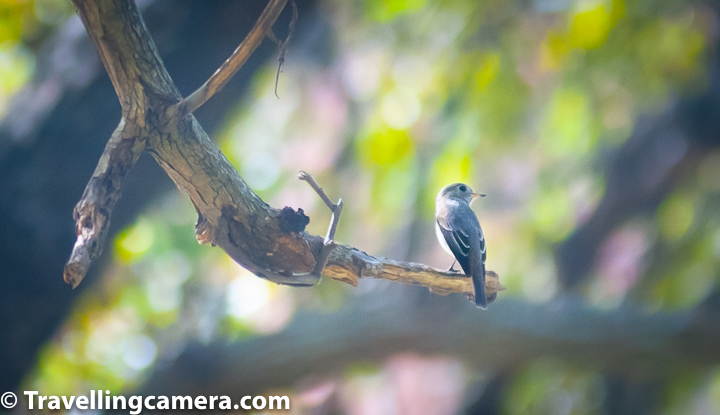 There were tiny birds, too little and too fast to see clearly, forget about identifying or clicking. 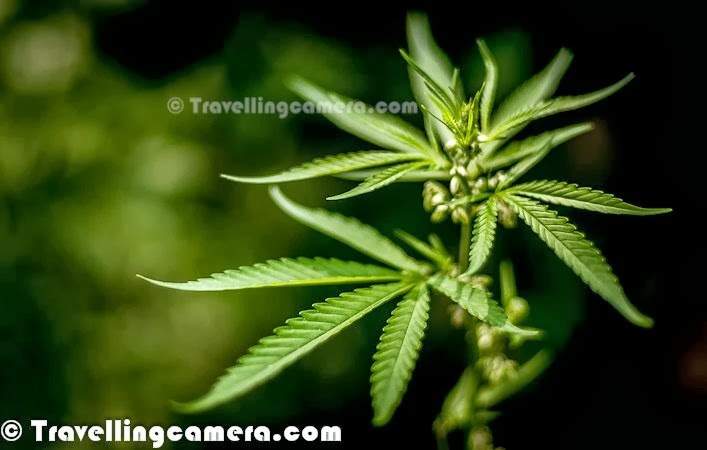 In short, Ayuthhaya was teeming with life. One just had to stop, listen, and observe.